Love the fact that the mobile network operators have become quite open in talking about their infrastructure, data consumption statistics and their future plans. Last week I talked about Sprint's small cell deployments for Super Bowl, this week some info from Verizon. Verizon has talked in detail in their blog about how its coping with the huge demand in data that has been increasing every year. Here is an extract from a few Verizon blogs. The permanent new network enhancements will boost performance in U.S. Bank Stadium and areas of anticipated high demand, including Super Bowl LIVE, Super Bowl Experience, popular tourist attractions, airports, hotels, venues and other special event locations throughout the Twin Cities area. 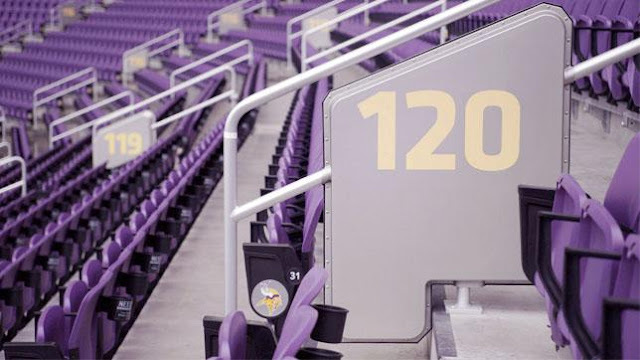 DAS: Verizon built a neutral host state-of-the-art network system when the new tech-advanced U.S. Bank stadium opened in 2016 for the Minnesota Sports Facilities Authority and added 48 percent more antennas in 2017 with innovative design solutions exclusively for your connectivity, including drink rail, handrail and under the seat antennas. 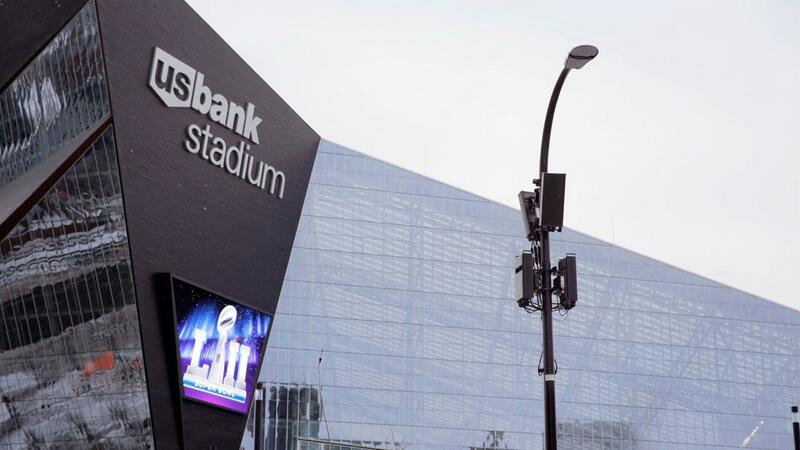 The stadium DAS system Verizon built is one of the largest in the U.S. and Verizon customers will be connected by more than 1,200 antennas distributed over more than 100 coverage zones. A similar outdoor stadium DAS provides coverage at the east entrance, light rail station and west plaza area. 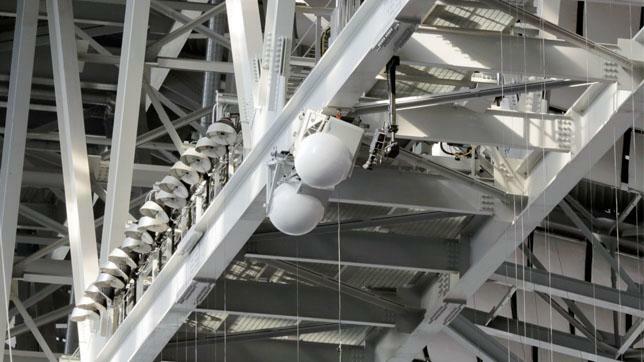 In the first indoor use at an NFL stadium, two Matsing Ball antennas (that appear like giant white disco balls) are installed 330 feet above the field on the ridge beam. They provide coverage by dividing the field into sectors, like slices of a pie, for Super Bowl photographers and staff, and for you at popular concerts with floor seating. Small Cells: Small cells are designed to blend into the urban landscape, literally “hiding in plain sight” on street lights, traffic signals or utility poles, and provide 4G LTE coverage for a radius of approximately 1,000 feet. Small cells bring the fiber connections and network “densification” needed to enable Smart Cities technology (like managing traffic flow) and the next generation network, 5G. As part of our Smart Communities work with the city of Minneapolis, we’ve also installed security cameras on street lights with our small cells in the downtown area to help the city ensure the best experience possible for fans and citizens. On the side, Verizon also deployed a network for Public Safety officials and it tested the limits of 5G. Verizon’s network was used by 57% of the attendees in the stadium at this year’s Super Bowl, up from 45% the previous year. Verizon fans benefitted from the highest average download speeds at U.S. Bank Stadium according to third-party testing by P3 of all four national carriers during the game. On Super Bowl game day, Verizon fans used 18.8 TB of data in and around the stadium, the equivalent of a single user binge watching HD video for 435 straight days. The data usage by Verizon fans was 70.9% more than the 11 TB used at Super Bowl 51 – the same as watching HD video for 256 days in a row. At Super Bowl 50, Verizon customers used 7 TB of data – roughly 1/3 of Sunday’s big game. Top wireless uses by Verizon customers were led, in this order, by web browsing, streaming video and using social media and sports apps. The top three favorite social media apps of Verizon customers were Snapchat, Facebook and Instagram, with Snapchat moving from third at last year’s Super Bowl to first most used. The halftime show driven by social media video sharing. At the game kickoff, with fans streaming video and web browsing. Our Network team of 150 engineers, 3X the size of an NFL team roster, staffed Verizon’s network Command Center 24x7 to ensure a reliable network experience for fans, first responders and public safety teams. So the headline figure was 'Verizon fans used 18.8 TB of data in and around the stadium'. So you can see how much data was consumed in the Super Bowl match. Localytics has some more info on the data consumption pattern, apps, etc. during the Super Bowl here. Looking forward to finding some similar info from T-Mobile and AT&T.